Today’s repair is one of the most common types of pet damage that we see. Both dogs and cats will dig and it’s most often at some kind of entryway. In this case it was at the back sliding door. Most homeowners panic when they see what their pet has done because they just simply do not realize that it can be repaired. 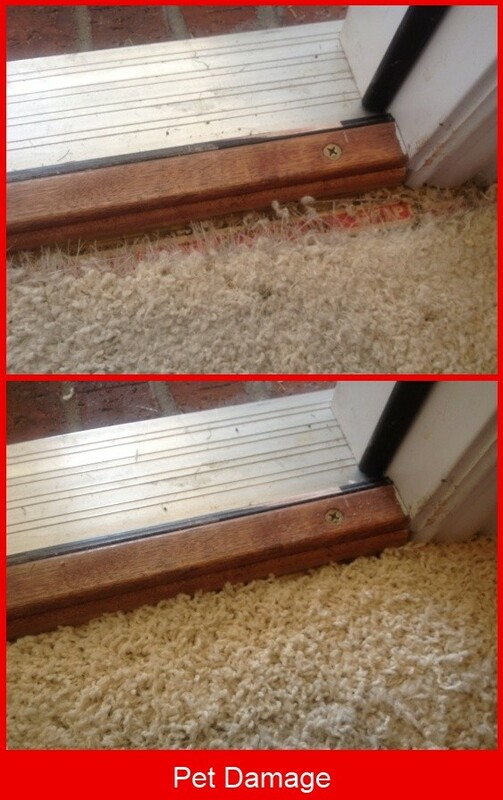 A simple search on Google for “carpet repair” will lead them right to us and then to a repaired carpet. Call Dallas Carpet Repair for all of your carpet repair needs.